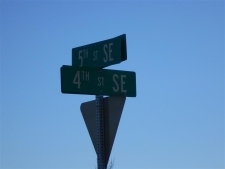 While North Dakota stands as the third least populated state in the US, there are still valuable commercial real estate listings available. North Dakota has had a substantial economic presence for over 10 years. There are fewer unemployed people in North Dakota than there are in other states. In fact, North Dakota has the lowest unemployment rate in the country. One of the reasons the economy is thriving is due to the Bakken oil shale fields. A great deal of the industrial space in the state of North Dakota is dedicated to either food processing or petroleum. Rural commercial land is plentiful in the state, and production of cereal grains like barley, durum wheat, buckwheat and oats is strong. Those looking for investment property in North Dakota should know that Fargo is by far the most populous city, with an estimated population of 105,549. Bismarck and Grand Forks follow, with populations of 61.272 and 52,838 respectively. Large three bay shop, two currently rented out @ $1500.00/mo. 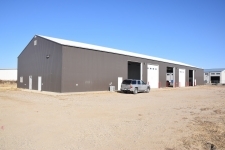 6,200 SQ FT BUILDING LOCATED NEAR HWY 52 IN VELVA WITH CITY SERVICES. Wonderful investment in the heart of the Bakken! Awesome oil company spot with heated warehouse and offices already to move into and get to work. Looking for 2 acres or more but close to small town living?? This is it!! 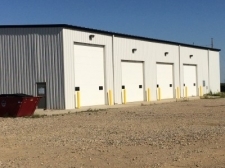 Newer insulated warehouse with office space. The warehouse is open with 18 ft sidewalls. Property is located right off of Wall St Ave and Broadway St near the Red River. Shovel Ready project in the heart of the Bakken. 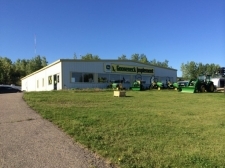 Located with easy access from Highway 2 in Stanley. 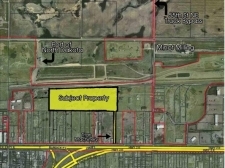 Nice Flat build-able commercial lot located in the Ross Industrial Park. 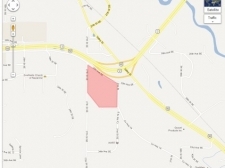 APPROXIMATELY 37 ACRES - ONE OF FEW PARCELS OF THIS SIZE WITH GREAT HWY EXPOSURE. ONE OF A FEW COMMERCIAL LOTS OF THIS SIZE READY TO BE BUILT ON NOW. 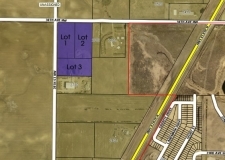 Over 4.5 acres of platted and zoned commercial property in NW Minot available. A good investment property in a quality location near I-29 on Main Avenue.